2019 ASV RT25 for sale in Athens, AL. 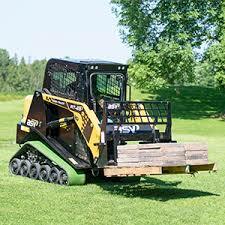 Haney Equipment Company Inc.
Canopy - The Smallest Machine of Its Kind: The RT-25 features the productivity and comfort that landscapers, homeowners, rental centers, snow removal businesses, and contractors need. 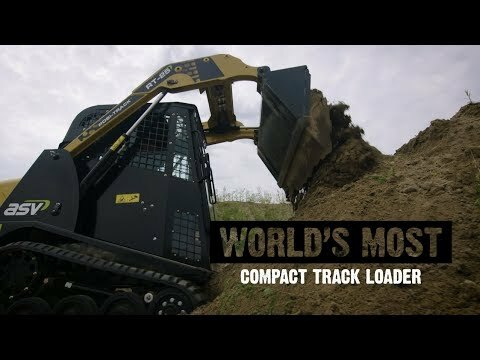 Designed small, the RT-25 offers patented Posi-Track technology with the suspension, traction, and flotation you count on to shape the earth. Track Type: General purpose track constructed of rubber compound with embedded co-polymer cords and all-purpose treads. Single row of trackdrive lugs molded in. Turf track with smooth tread available as an option. Roller Wheels: 12 high-density polyurethane and rubberwheels per track. Wheels include sealed bearings. Seat: Vinyl seat with built-in operator presence switch, lap bar and 2-inch ( 51 mm ) wide seat belt. An adjustable suspension seat is optional. Engine Speed: Hand-operated throttle lever.